Comment: Lowes damaged a small section of siding on the side of my house while making a delivery. They are responsible for the repair and have asked me to get some quotes sent to them. They will pay for this repair. Comment: Looking to have vinyl siding put on our 1 car garage. Current siding is wood slat board from 1950s. Comment: The siding where the house meets the attached garage has rotted in a few places. I would like to have it repaired/replaced. I also would like to have the wood frame around the garage window replaced. It has rotted due to lack of paint and bad watering practices. Comment: Looking for estimates siding in a traditional manner. 1 1/2 story. Comment: Looking for estimates for siding on my 1 1/2 story home. Wanting to keep it old/traditional style. Comment: live on Spokane South Hill. Need stucco repair, gutter repair, and back patio fixed. Is this something you cvan help with? Spokane Siding Contractors are rated 4.76 out of 5 based on 406 reviews of 32 pros. 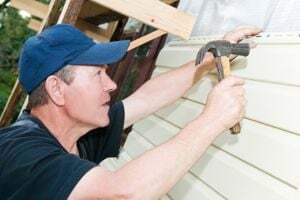 Not Looking for Siding Contractors in Spokane, WA?